For older adults, playing video games isn't just a way for older adults to keep in touch with the younger generation — it might be also be a way to stay in touch with memory itself. For older adults, playing video games isn't just a way to stay in touch with the younger generation — it might also be a way to stay in touch with perception itself. A new study published in the journal PLOS ONE showed that regularly playing Super Mario 64 for six months seemed to improve memory and increase the amount of grey matter in the brains of older adults, ages 55 to 75. The findings could someday improve treatment options for cognitive impairment and Alzheimer's disease. 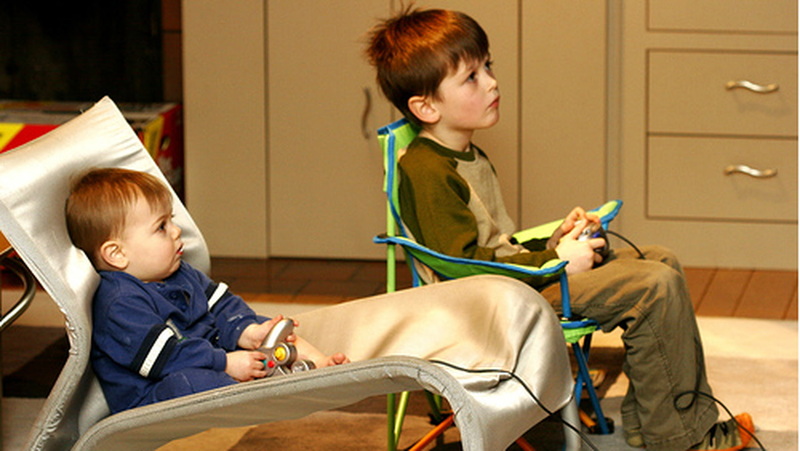 In the study, researchers divided 33 participants into three groups: one played Super Mario 64, one took online piano lessons, and one served as a control group that did neither activity. The video game and music lesson groups completed at least 30 minutes of training for five days per week. Some participants completed more training than was required. In fact, two participants in the video game group beat Super Mario 64 in its entirety and went on to play Super Mario Galaxy, a similar game. In the paper, the researchers hypothesized that 3D-platform games can boost cognition and memory by serving as something like a mental workout. They referenced past research on young adults that showed how playing Super Mario 64 increased grey matter in the cerebellum. This new study, however, is the first to explore whether 3D-platform games can have similar effects on the neural structures of older adults. But why Mario instead of, say, a racing game? In 3D-platform games like Mario, players must familiarize themselves with a virtual world to succeed. They must build “cognitive maps” of the world as they play, memorizing landmarks and other salient features. These kinds of spatial learning processes take place in the hippocampus, one of several regions of the brain examined in the study. Dorsolateral prefrontal cortex — “Super Mario 64 requires ample planning and the internal storage and manipulation of in-game information. We therefore predicted that training would increase grey matter in the dorsolateral prefrontal cortex (DLPFC).” The researchers also suggested video game training would boost cognitive performance among the older adults. The results showed that participants who spent the six months playing Mario experienced improved short-term memory and showed increased grey matter in the cerebellum and hippocampus. Participants who took music lessons showed increased grey matter in the dorsolateral prefrontal cortex and cerebellum. However, the control group, composed of adults who did neither video game or music training, showed atrophy in the three regions of the brain researchers examined. The researchers can't yet say for sure whether it's 3D-platform video games or simply learning something new that staves off the degradation of grey matter and memory. One reason is because the size of the study was relatively small, which limits the conclusions that can be reasonably drawn from it. Still, study author Gregory West, an assistant psychology professor at the University of Montreal, thinks the results are promising for the treatment of cognitive impairment and Alzheimer's disease. "The good news is that we can reverse those effects and increase volume by learning something new, and games like Super Mario 64, which activate the hippocampus, seem to hold some potential in that respect," West said.